Last week I was able to present the lovely Jador spring fashions. In holding to what I try to do, I am now showing various new spring designs for men. Mimi’s Choice for Men, is a wonderful place for gentlemen to find just the perfect suit, tux, shoes or shirt with jeans. 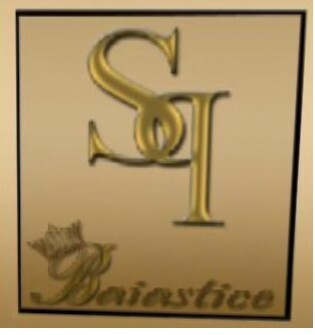 There men will find such great creations by some of Second Life’s finest, such as SF Designs, M.R.M, Sartoria and many more. At Mimi’s, men will find a relaxed shopping environment. There you will find the shop well laid out and the designer wear easy to locate. Most all clothing there is transferable, except for the colour change shoes. This makes it exceptionally nice for the women, shopping for their men. I was put in charge of buying men’s tuxes for a wedding. It was so nice, to be able to go to Mimi’s, find the tux that I referred and purchase all five and then be able to pass them out. Such a hassle reducer. Also for my sweethearts birthday, I was able to go shop and buy him a great outfit, wrap it and give it to him. I love it! LE.LOOK!, 8ième arrondissement, December 14, 2008 – Today, ~Moonaco Porta~ and ~Sawyer Campese~ invite you to come visit a sim that will bring you nothing but fashion and style. This sim is a universe of its own, providing you with all your favorite designers and talented newcomers in one stylish place. Who said you can’t have everything? LE.LOOK! Under construction – As soon as you land at the center of our world, be sure to take notice to the impeccable detailing and quality of the Sim, built in a astounding four months by Sawyer Campese . The buildings were constructed with three thoughts in mind: Quality, Innovation and Creativity. Combining curves with modern industrial edges, this island is created to make your mind and eyes wonder. 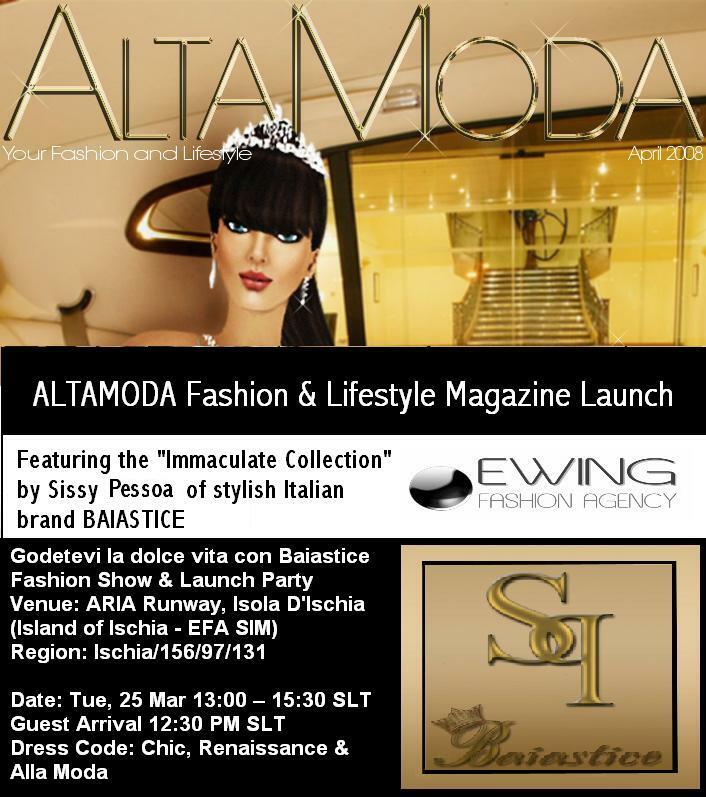 AltaModa Magazine Launch with BAIASTICE show! 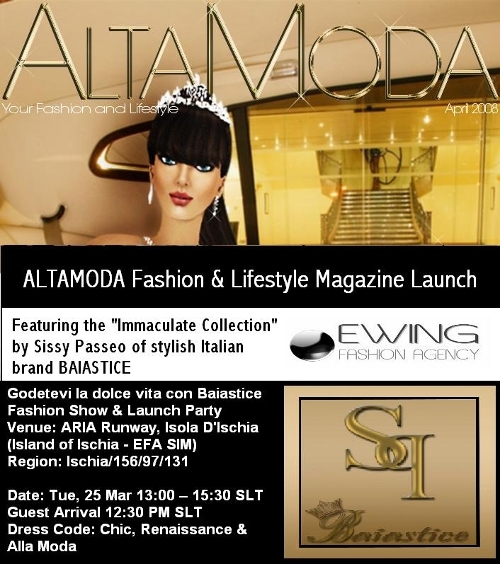 You are cordially invited to the launch of ALTAMODA Fashion and Lifestyle Magazine featuring the “Immaculate Collection” Fashion Show by Sissy Pesoa of stylish Italian brand BAIASTICE! After party will follow! Alta Moda Coverboy & Covergirl Competition! Someone will win, that someone could possibly be you..